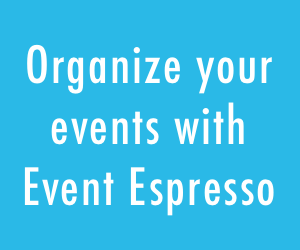 As we start planning for spring and summer events, we want to be sure you know that Event Espresso is your Event Ticketing System for WordPress. Whether you are hosting Art Classes, Car Shows, Conferences, Quilting Retreats, or any other event, Event Espresso makes it simple to sell tickets to each of these events – or all of them at the same time – right from your WordPress website. Collect payments from your registrants via PayPal, Authorize.net, or any other payment gateway. We’ve built Event Espresso so you can add your own gateway if needed. Manage the number of tickets that can be sold, so you don’t overbook – or you can create secondary events that can handle the overage when an event fills up. Create different tickets and multiple datetimes for users to choose from. You can create a ticket that includes items like a t-shirt, button, or souvenir. You can even create free events, and if someone chooses that option, they won’t be charged. Create custom ticket registration options. You can create a custom ticketing form that asks your attendees whatever information you need. Ask how they heard about your event, why they want to come to the event, and if they have purchased a ticket in the past. You can collect their email address or Twitter handle for marketing and selling other tickets. Create discount tickets for the people who register early, and even change the price after the early-bird date expires. This helps you set your events on autopilot so you can get on to running your business. Create percentage discounts and coupons for tickets. You can use the discount codes to track your marketing or just incentivize people to purchase a ticket right from your WordPress website. Communicate directly with everyone who purchased a ticket. You can create custom emails that confirm registrations, email confirmations after you receive payment, and much more. Event Espresso also helps your WordPress event ticketing communication with a custom email manager. Transaction and Registration reporting help you decide quickly which tickets are selling and how many tickets remain to be sold so you can organize your efforts. Manage attendees and export them to your sales management system by exporting attendee data via .csv files. Customize your WordPress event ticketing with your WordPress theme – you can make your event registration pages look awesome, like the rest of your website. With built-in Search Engine Optimization features, like keyword rich URLs and Event Schema markup your events are sure to be found on Google and other search engines. Event Espresso also has many other features making it the most complete and affordable WordPress event ticketing management system. 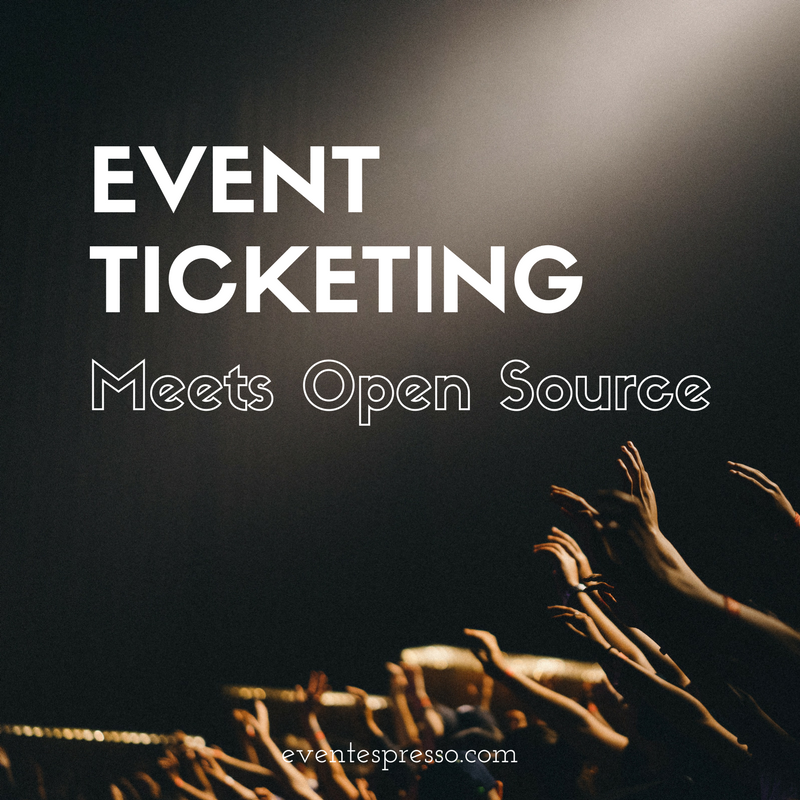 If you want to accept registrations and payments for your events, then Event Espresso is your Event Ticketing System for WordPress. You’ll be surprised how successful you can be with Event Espresso. Any questions? Let us know in the comments below or send us an email. This post was originally published on December 14, 2010. Great plugin guys, really cool to add to my bag and def will be using when the time comes. I’m not sure I can figure out how to do this. Is this an actual, current option? I just bought a dev license. I need something that will allow people who purchase a membership to buy a discounted ticket. Is there a way for this to do that? Event Espresso doesn’t do all of that, but you can use something like S2 Members to help make that happen. Yes. Use the Member Integration Module (addon). It will let you charge different prices for members. a magical plugin this is; am certainly going to give you a couple of Diggs! i have three ticket options – on two of them i need to include a t-shirt with ticket purchase and place for buyers to choose a size – is this done in Event Manager? I don’ see where i add specific questions to the event pricing section? Jody, can you post your question to the forums (if you haven’t already)?